Sacramento Superior Court Judge Larry Brown presides over an outstanding example of mental health court. 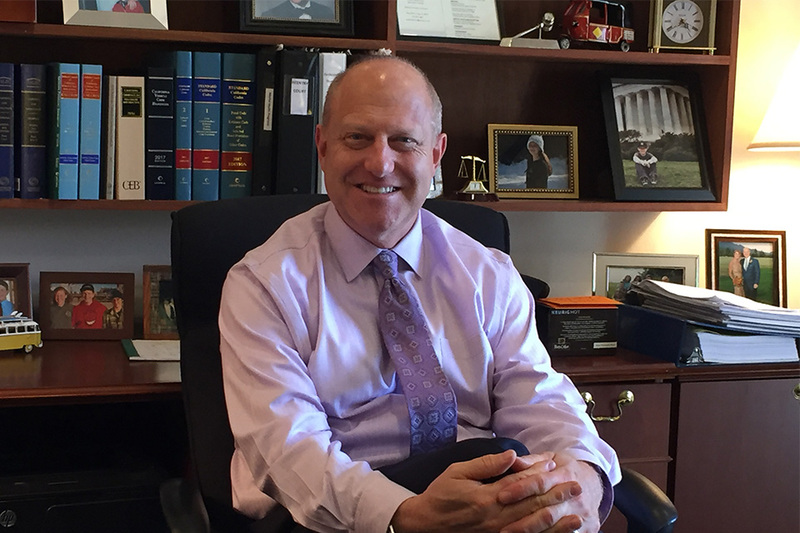 A former prosecutor and Assistant U.S. Attorney, Judge Brown helped establish Sacramento’s Mental Health Court in 2013 and launched a Co-Occurring Disorders Court in 2016. He presides with wisdom, wit and compassion, working with a multi-disciplinary team to steer low-level criminal offenders living with a mental illness into treatment and supportive services. The aim is to break the costly and punishing cycle that keeps so many people with untreated mental illness pinging between jail, emergency rooms and the streets. In any given session, Judge Brown and his team meet with dozens of offenders in various stages of rehabilitation and recovery. Participants in mental health court must be low-level offenders, and not considered a public safety risk. All are living with a diagnosed mental illness, and often, just need medication, therapy and connection to services to adjust their behavior. They are placed on probation on the condition they adhere to a treatment plan and appear in court weekly for a progress update. Those who complete the program see their cases dismissed. California now has more than 40 mental health courts. Collectively, Judge Brown and his mental health court colleagues have helped thousands of people find their way into treatment and supportive services, and from there, into loving, productive lives. We salute their innovation and impact and thank them for shining a light on the life-saving, cost-saving potential of alternative sentencing models.